What is it that has always attracted people to Early California painting? 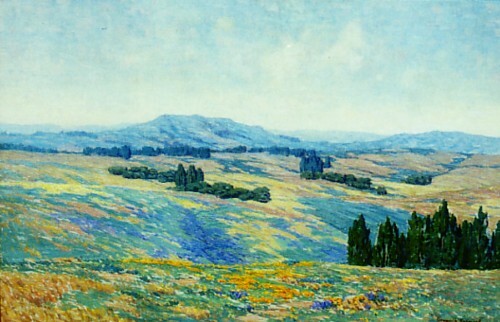 Works created during the period between 1870 and 1940 by artists such as Granville Redmond, Guy Rose, and William Ritschel continue to remain popular among people of all ages. 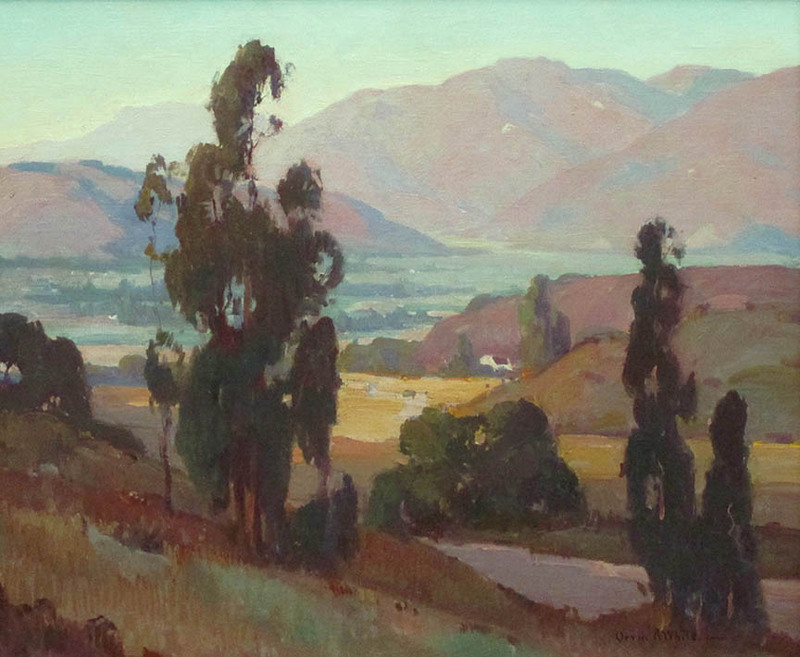 What is it that has always attracted people to Early California painting? 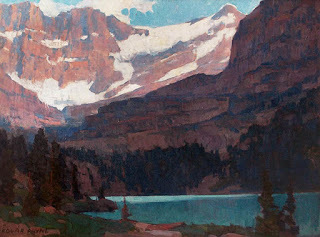 Works created during the period between 1870 and 1940 by artists such as Granville Redmond, Guy Rose, and William Ritschel continue to remain popular among people of all ages. With the current frenzy surrounding modern and contemporary art, why are collectors, museums and gallery visitors still so fascinated by this more traditional style of painting? 1) Traditional art is self-sustaining Certainly there is ample room for all types, mediums, subjects, and talents in the art world. The nature of art is to encourage experimentation, and to open viewer's minds to new ways of thinking and experiencing the world. Art is a medium that, at its best, evokes an emotion, but it has many purposes, including breeding thoughts and ideas, and connecting us to each other through the simple fact that the works were created for humans by other humans. However, as corporate marketing agencies spend huge sums to convince visitors of flashy art fairs, surfeit with celebrities, that it's perfectly normal for a canvas painted blue with a white line to sell for $43.8 million dollars, one begins to suspect that the contemporary art world is more about a “scene” than about the art itself. Yet the private market for historic California art remains strong without all the fanfare and high-priced marketing of its modern, postmodern, and abstract brethren. The reason is that collectors of these prior genres tend to be more self-educating – that is, historic collectors appreciate the visual aesthetic qualities of the work, but also foster connoisseurship by seeking the historical significance of the objects themselves. The market is driven less by external trends and more by a conscious intellectual endeavor to understand the contextual whole. Other groups, such as the Traditional Fine Arts Organization, continue to grow in popularity and membership. The TFAO, a non-profit group “dedicated to furthering education in American Representational art through advocacy, publication, and research,” similarly works to preserve the history of the arts. The CrockerArt Museum in Sacramento, established in 1885 and home to a vast and important collection of early California paintings, recently tripled its size and has become one of the leading art museums in California, and the recently opened Hilbert Museum of California Art at Chapman University, displaying a significant collection of 20th century representational art, is drawing large, enthusiastic crowds. The history of art in California is quite literally the history of the people, places, and events that have shaped the world we live in. Without organizations and patrons dedicated to the preservation and appreciation of this artistic legacy, our own history would be lost to the fog of time. 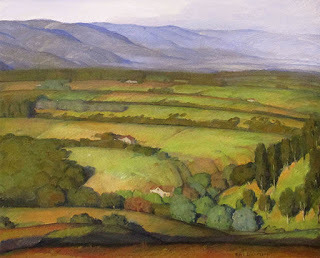 3) Historical art preserves our environment In order to understand the reasons for this enduring love of paintings created in the “Golden State”, a good place to look is the California landscape itself. 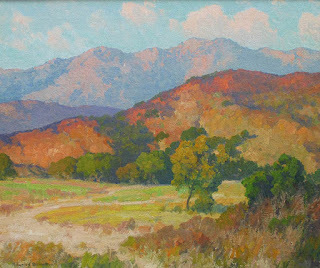 California landscape paintings, plein air works in particular, call attention to the exceptional and unparalleled beauty of the hills, mountains, deserts, and farmlands of California which, in turn, remind us of the fragile nature of our unique habitat. As with John Muir, we are inspired to become better custodians of these precious lands, and to protect and nurture the environment. 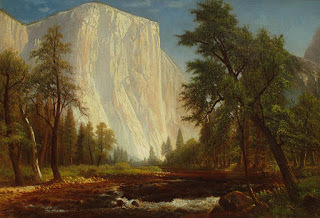 Early paintings of Yosemite, by artists such as Gilbert Munger and Thomas Hill, served to draw attention to that area, and helped to spark a new era of conservation and environmental protection for its unique and exceptional beauty. Artists and writers were extremely important in influencing Nineteenth Century trends in American conservation. 4) The market is strong In spite of – and at least partially because of – a recent surge in turnover of contemporary art, current auction records for important paintings from the Early California period are remarkably strong. Today's overheated market for contemporary work with little or no proven track record is providing astute collectors with a perfect opportunity to acquire certain early California paintings on the private market at somewhat more modest prices than those seen a decade or two ago, just as Joan Irvine was able to acquire historic paintings for the museum by circumventing the contemporary art bubble of her own time. Simultaneously, important major works by the most popular artists in the genre are commanding stronger prices than ever, proving again that the market for the most desirable first-rate works still remains bullish. A painting by William Wendt (1865-1946) “The Old Coast Road”, circa 1916, was sold in April 2015 for $1,565,000, setting a new public record for the artist. The Director of Fine Arts at Bonhams in Los Angeles, Scot Levitt, commented of the sale, "This was the most exciting sale that I have had the distinction to auction in my 30 years working with the company". Shrewd collectors know that significant paintings from this genre continue to enjoy an enduring position in the history of art, and can comfortably count on the fact that their importance and relevance over time has been repeatedly proven. While all of this may be somewhat of a simplification, it’s clear that the appeal of historical California art is multi-faceted and often rooted in deeply-felt emotions and fundamental human nature. The pieces from this halcyon era inspire us to care more about, and protect, our fragile environment. They can make us feel peaceful, centered and quiet, and can function as a counterpoint to the fast pace of today's world that's crowded with glowing screens, overflowing email inboxes, and ringing cell phones. They can bring us joy, pleasure, and memories of happy times spent with people we've loved. 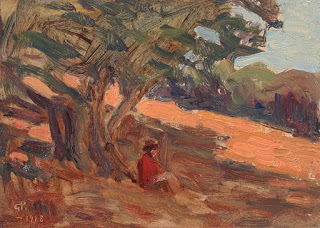 And, most importantly, the paintings from this special era in California history make us feel connected to the past, connected to the land and the environment around us, connected to the artists through time, and to each other.